Steam's Greenlight service has deleted five versions of Half Life 3. The problem with opening up a service to the internet community is that the internet is large and full of trolls. Steam knew that its Greenlight service - intended to help choose the games that will get a Steam release - would be manipulated by the less-than-altruistic as soon as it launched. It didn't take long before games that existed in name only or were obvious attempts to troll - Half Life 3, Left 4 Dead 3, Best WTC Plane Simulator - turned up on the Greenlight submissions list, and Steam has been deleting them as soon as they pop up. One Steam Greenlight user commented that "I've already seen just in the last HOUR two entries for Mass Effect 3, five various entries for Half Life 3 ... That's not including patently offensive games," like the 9/11 plane simulator. 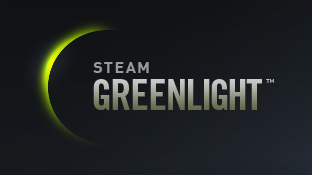 Steam has already asked for the community's help in policing Greenlight. "The community has already been active in reporting fraudulent or gag items. To help keep control on this volume of bad submissions, please us the 'report' function to call out games that you think are fraudulent, offensive, or otherwise inappropriate." At time of writing Greenlight has over 740 games in its queue, including pretty much anything you can think of. Old West games, fantasy RPGs, strategy, horror, racing games, train games; if you want to manage a nightclub empire, be tormented by a Czech devil, jump platforms through the underworld or help something altogether different get distributed, Greenlight is there to meet your needs. Just no Half Life 3. Sorry 'bout that.